I'm not sure why Wikileaks has gone on the offensive against The Fifth Estate, or Wikileaks - the movie, as it is being touted. If it is concerned that it might damage the reputation of the organisation it needn’t worry. The US government comes off far worse. The film attempts to turn Wikileaks into an old fashioned story of good versus bad with Assange portrayed as a Bond villain. The reality is far more complex. The real disappointment is that it contains no new information and in fact much of the content is outdated. The film contains little from the past two years. Bradley Manning barely gets a mention, Julian Assange’s exile in the Ecuadorian embassy in London is covered as an outtake, and the role of the Icelandic Modern Media Initiative (IMMI) and MP Birgitta Jónsdóttir is not explained. The Fifth Estate lacks the transparency for which it is calling its subject to account. It is frustratingly high on manufactured and edgy production but low on content and debate. We don’t learn anything new about the organisation or the transparency debate. Benedict Cumberbatch holds the film together. British audiences know and love him for his role in Sherlock. 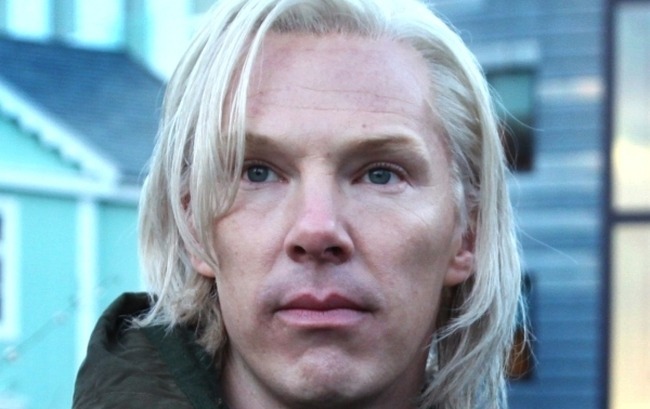 His portrayal of Assange is not so much acting as mimicry. Assange claims that he received no contact from the co-production team DreamWorks Pictures and Participant Media. Cumberbatch wrote to him informally prior to the start of filming and the pair exchanged letters but haven’t actually met. Wikileaks demonstrated the reach of its network and the power of its platform by releasing a copy of the script a month ago and the exchange between Assange and Cumberbatch. The movie is adapted from two books: Inside WikiLeaks: My Time with Julian Assange and the World's Most Dangerous Website by Daniel Domscheit-Berg, Assange’s sidekick until 2011 when Wikileak broke the war logs story, and WikiLeaks: Inside Julian Assange's War on Secrecy by British journalists David Leigh and Luke Harding. The contribution of Domscheit-Berg to the script is apparent throughout. The film is his perspective on Wikileaks. In countering the Fifth Estate, Assange has used the defence that the film will put the lives of whistle blowers at risk. Wikileaks has 12 legal actions on-going in different locations around the world. It’s the same line that is used by newspapers and governments throughout the film in a bid to counter Wikileaks publishing diplomatic cables and military documents from the Afghanistan war. The film shows the US government as initially ignoring Wikileaks and subsequently on the back foot, struggling to deal with the fallout from disclosures. Therein is a huge irony and need for debate. The film completely dismissed the opportunity to tackle the broader privacy versus transparency discussion. Wikileaks is only part of the story alongside the US National Security Archive, and Internet censorship in markets, such as China. In a final scene when David Thewlis, who plays The Guardian’s Nick Davies, shares a pint with Domscheit-Berg in a pub, he summarises the issue that the Fifth Estate attempted to tackle but failed. It’s disappointing that the Fifth Estate didn’t move this debate forward.